Nirjala Ekadashi is the most important and sacred Ekadashi among all the twenty four Ekadashis that comes in a year. Nirjala means without water and Nirjala Ekadashi fasting is observed without any food or water. As this fasting is Nirjala Ekadashi Vratam, it is the toughest among all Ekadashi's of the year due to a strict fasting rules. Nirjala Ekadashi and also all the Ekadashi's are dedicated to Lord Vishnu. While observing Nirjala Ekadashi fast, Vishnu devotees do not take food as well as water the whole day and the fast is only over the next day after ekadashi. As this Nirjala Ekadashi fast is highly sacred, it is recommended to all the devotees that those who are not able to observe fast on all twenty four Ekadashi's of the year should definitely observe this single day of Nirjala Ekadashi fasting. It is a strong belief and is said that fasting on Nirjala Ekadashi gives all the benefits of twenty four Ekadashi fasting of the year. Nirjala Ekadashi is also known as Pandava Ekadashi or Bhimseni or Bhima Ekadashi because of the legend associated with Pandavas and particularly Bhim. Bhimsen, the second brother among Pandava's could not control having food and thus was not able observe the strict Ekadashi fasting. All Pandava's Yudhishthir, Arjuna, Nakul and Shahdeva, along with their wife Draupadi and mother Kunti except Bhim observed all Ekadashi fasting of the year. Due to this, Bhima, got upset and thought that he was disrespecting Lord Vishnu. Bhima then went to met Sage Maharishi Vyasa for his advises and getting answers to his problem. Then Vyasa rishi suggested Bhima to observe the single Nirjala Ekadasi fasting and thus it acted as the compensation for not observing all Ekadashi's of the year. Thus, Nirjala Ekadashi also came to known as Bhimseni Ekadashi or Pandava Ekadashi. It is a strong belief that those who fast on this day of Nirjala Ekadashi are received by messengers from Vaikuntha, the abode of Vishnu, after death, and not by Yama, the god of death. It is also believed that Lord Vishnu transformed himself into Ekadashi to make all the humanity get rid of their sins.Observing this fast is equal to going to pilgrimage. The sins of this life and the previous one are considered burned by observing this fast. Nirjala Ekadasi fast helps in getting longevity, happiness, salvation, wealth, and prosperity with the blessings of Lord Vishnu. It is recommended not to fast on this day of Nirjala Ekadashi for those who are undergoing treatments or medications, if one can observe they can have fruits and milk, tea but not any form of atta or wheat and salt. It is a known fact that one should not eat rice on any ekadashi day including Nirjala Ekadasi. Nirjala Ekadashi fasting falls on Shukla Paksha of Jyeshtha month particularly in month of May or June. Nirjala Ekadashi falls just after the Ganga Dussehra (which is the appearance or coming up of Maa Ganga on earth on this day). It is also possible that Ganga Dussehra and Nirjala Ekadashi might occur on the same day. Ekadashi fasting is over on next day of Ekadashi fast after sunrise. It is necessary to observe breaking of Ekadashi fast often known as Parana within Dwadashi Tithi unless Dwadashi is over before sunrise. Not observing Parana within Dwadashi is not seen good. Parana or breaking the ekadashi fast should not be done during Hari Vasara. If Hari Vasara period gets over, then only one should break the Nirjala Ekadashi fast. Hari Vasara is the period of first one fourth duration of Dwadashi Tithi. Pratahkal is regarded as the most preferred time to break the fast.One should also avoid breaking the fast during Madhyahna and if it's not possible to break ekadashi fasting during Pratahkal then it should be done after Madhyahna. Offer prayers to Lord Vishnu early in the morning and also the whole day. Light a diya in front of Lord Vishnu and offer Tulsi leaves and flowers. Observe a waterless fast for the whole day. If not able to fast the whole day without water, then one can take fruits and tea, milk, water but should not eat salt and "atta" or wheat. Prepare Panchamrita, a mixture of five foods: milk, curd, ghee, honey and sugar and offer to Lord Vishnu. Donate food grains, clothes, fruits, milk, umbrellas, hand-fans, matakas filled with water, to Brahmins. Next morning, after bath, donate food, fruits, sherbet, water, milk, clothes etc. and then break fast by drinking water. Hola Mohalla is the second most important festival of Sikhs. It falls in the month of March after a day of Holi festival of Hindus. On this day, in accordance with traditions established by Guru Gobind Singh, the Sikhs demonstrate their valor and fighting skills through mock battles. They take out huge processions and these processions visit the various Gurdwaras. Guru Gobind Singh is the tenth guru of the Sikhs and some believe that he started this festival after being inspired by the Hindu festival of Holi. Still others believe that Guru Gobind Singh, after establishing the Khalsa army, was encouraged to start this new tradition when he saw demos of mock battles being carried out at the Holgarh fort. This event dates back to the time when the Sikhs were defending themselves against the Mughal regime. The tradition originated in the small town of Anandpur Sahib and later on spread to other towns and cities and is now celebrated all over the world. We have given here Hola Mohalla Anandpur Sahib video. A special group of Sikhs called Nihang Singhs is considered as very important members of this tradition. They now shoulder the responsibility to carrying forth the tradition of Holla Mohalla and are believed to be the descendants of the tenth Guru. They are known especially for their ardent fighting spirits, their valor, and superior military skills. Their special skills in horse riding and also performing thrilling stunts and skilled archery along with fencing and other martial arts make them unique and widely popular across communities. Turbans, shimmering bright blue dresses, majestic swords, long spears, thick moustaches, and expert horse riding are the distinctive traits of this classy Sikh community. Holla Mohalla celebrations span for three long days. Not only simulated battles and display of weaponry but also solemn recitation of religious discourses and sweet singing of religious songs form an integral part of the celebrations. Apart from this, various other types of cultural activities are also performed. Music, songs, dances, poetry recitation, all form a part of the celebration. 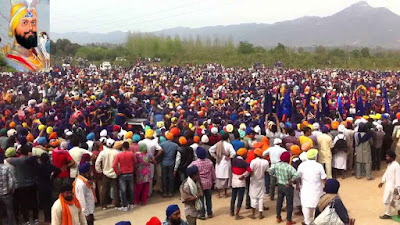 Thousands of people from far off places throng the streets and gurdwaras of Anandpur Sahib on this auspicious day. Langars or community services form another major aspect of Holla Mohalla celebrations. Here free meals are distributed to one and all. Pious Sikhs donate large amounts of rice, dal, vegetables, milk and other ingredients needed to cook these meals. People also volunteer to cook the food and serve food and wash utensils. Holi is a religious and colourful Hindu festival celebrated by people all over the world. Holi is often considered as the second biggest festival of Hindu calendar after the Diwali which is the biggest festival of Hindu's as well as India. Holi is known as the festival of Colors. However the festival is widely accepted by the people in India, Nepal and Sri Lanka and other parts of the world. It is celebrated at the end of winter on the last full moon day in the month of Phalguna (February/March). Playing of Holi and the celebration of Holi festival at places where Lord Krishna's whole life has been spent known as Braj regions which includes - Mathura, Vrindavan, Gowardhan, Gokul, Nandagaon and Barsana - are the most famous one. Barsana's Lathmar Holi is really world famous where males can be seen playing Holi with women or Gopikas where women with bamboo sticks (known as lath) beat the male counterparts and thus named lathmar holi. Holi festival is often celebrated for two days. The first day is known as Jalanewali Holi or Chhoti Holi or Holika Dahan. In South India, Holika Dahan is referred to as Kama Dahanam. The second day of the Holi festival is known as Rangwali Holi - the day when people play with colors. Rangwali Holi is the main Holi day and is also known as Dhulandi or Dhulendi. Also called by the names of Dhulandi, Dhuleti, Dhulheti. Holika Dahan is done on the first day and people play with colors the next day of Holika Dahan and that is known as actual Holi festival. People play with colors like Gulal. Nowadays, herbal colors are also popular as other Holi colors could cause a reaction on the skin due to use of chemicals in Holi colors. Holika Puja and Holika Dahan are Holi rituals that has been observed since ages. Prahlada, a staunch devotee of Lord Vishnu was saved instead of Holika who tried to burn Prahlad. Holika had a boon that she could not be burnt in fire.However, the boon became useless as Holika was burnt alive in fire and since then Holika Dahan is celebrated as a symbol of burning and warding off all evils in the society. After Holika Dahan comes the actual Holi festival which is the festival of colors and happiness. This is the importance of Holi. Holi festival is celebrated as per Hindu lunar calendar. On the day of Holika Dahan, it's always the Phalguna Purnima. The next day of Holika Dahan is observed as the Holi festival. As per the mythology, the Hindu Holi Festival is connected with the celebration of immortal love of Krishna and Radha. Krishna complained to his mother Yashoda about the fairness of Radha, Yashoda told to him to apply colour on Radha and see the difference. Holi is celebrated in its full swing in Mathura, the birth place of Krishna. Today, the places such as Mathura, Vrindavan, Nandagaon, and Barsana are tourist destinations. 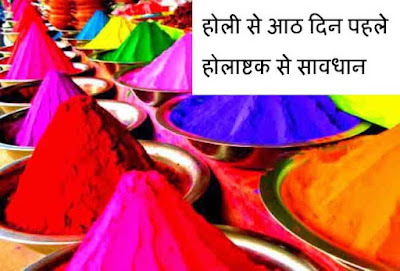 In the medieval period, the colors of Holi (gulal) were prepared at home from the flowers. These flowers were collected from the trees such as 'tesu' or 'palash'. These are also called the flame of the forest. As these are natural, these were very good for skin. The chemical colours used today are dangerous to the skin. Holi is the opening festival of Hindu calendar. It is the festival of colours and the most ancient festival of Aryans. Dhulandi falls day after Holi Puja. This is considered as the actual festival of Holi. Though Holi is celebrated all over India, it is mostly popular in North India. This is the time to forgive the enmities. Gujiya's Bhang and Thandai are one of those items that are in huge demand on the day of Holi. 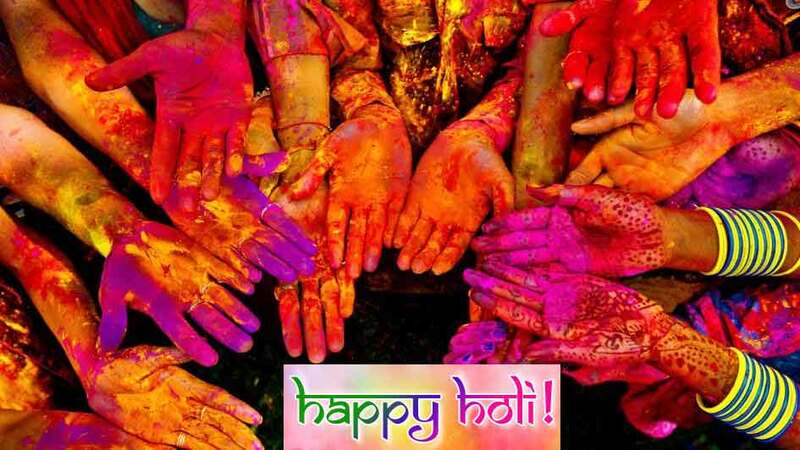 People send Holi greeting cards and Holi Messages, Quotes and SMS for celebrations on this day of Holi. We at www.durganavratri.in wishes all a Happy and Colorful Holi! ‘Phulera’ is derived from a Hindi word ‘phul’ which means flowers. On Phulera Dooj people play with flowers and colors with Sri Krishna. Devotees of Lord Krishna worship with deep devotion and seek his blessing for health, wealth, prosperity and happiness. Devotees play Holi with flowers with Sri Krishna on this day and also apply color on the Lord Krishna's idol. In temples dedicated to Sri Krishna in Mathura and Vrindavan, priests along with people can be seen sprinkling ‘gulal’ on all the devotees. Phulera Duja is a ritual dedicated to Lord Krishna and associated with the festival of Holi and is observed on the Shukla Paksha (waxing phase of moon) second day (dwitiya) of the of Phalgun month (February – March) in North India. Phulera Duj 2019 date is March 08. In Lord Krishna temples especially in Braj regions of Vrindavan and Mathura, special rituals are held on the day of Phulera Dooj. People put a bit of color on the face of Lord Krishna and Sri Radha. Phulera Dooj is also spelled as Phulera Duj. It is believed that the union of Krishna and Radha took place on this day. As per astrology, the whole day of Phulera Dooj is considered auspicious and free from all defects(Dosha) and is known as ‘aboojh muhurat'. Thus there is no need to contact astrologers and pandits for an auspicious time. It is believed that Marriages on this day don't require any muhurat. Starting of any new business is considered auspicious on Phulera Dooj. The timing of Phulera Dooj is also important. Phulera Dooj is celebrated on Phalgun Shukla Dwitiya falling at sun rise. If Dwitiya tithi falls at sun rise on two days or does not fall at Sun Rise on any day then it is celebrated on the first day. When is Phulera Dooj ? Holika Dahan is one of the Hindu religious rituals while celebration of the holi festival. Holika Dahan is celebrated after the death of Holika and protection of Prahlad. Holika Dahan is always held at evening or night time as per the Hindu calendar. Hindu people roast the “Jau” in the Holika fire and bring them to their homes for the goodness and well being of the family members. Also are burnt 5 “Upali” in the fire denoting that as burning all their problems. Holika was given a boon by Lord Brahma that she would never be harmed by fire. There was a time when Holika sat on a bonfire with Prahlad on the orders of her brother and Prahlad's father "Hiranyakashipu" so that Prahlad gets killed but instead as Prahlad was a great devotee of Lord Vishnu, the fire did no harm to him and Holika was burnt alive. Holika Dahan 2019 date is 20th March, Wednesday. Holika Dahan, also known as Holika Deepak or Chhoti Holi, should be done at the time of Pradosh Kaal (which starts after sunset) while Purnimasi Tithi is still prevailing. All good work should be avoided when Bhadra prevails. The first rule of thumb is to get Holika Dahan Muhurta at Pradosh time while Purnimasi Tithi is still prevailing and Bhadra gets over. If Bhadra occurs during Pradosh kaal but ends before midnight then Holika Dahan should be done when the Bhadra period is over. If Bhadra gets over after midnight then only Holika Dahan should be done in Bhadra and preferably during Bhadra Punchha. One must avoid Bhadra Mukha and in no circumstances Holika Dahan should be done in Bhadra Mukha. 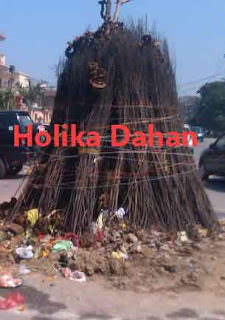 If Holika Dahan is done in Bhadra Mukha period, it brings bad luck for not only the individuals but for the whole city and country for the full year. In cases where Bhadra Punchha is not available between Pradosh and midnight period, one should do Holika Dahan during the Pradosh kaal. In occasions when neither Pradosh nor Bhadra Punchha is available (though which occurs rarely) then one should do Holika Dahan after Pradosh time. It is of utmost importance to choose right Muhurta for Holika Dahan as compared to choosing right Muhurta for other Hindu festivals as it is believed that doing Holika Dahan at wrong time would only bring suffering and misfortune whereas doing puja at an incorrect time or muhurata will not bring puja benefits for other Hindu festivals. Holika Dahan or Holi bonfire is followed by Holi/Dhulandi day when people play with colors. We at www.Durganavratri.in wishes all a happy and colorful Holi. A great story of Hindu mythology revolves around the celebration of Holi festival as well as burning Holika as Holika Dahan. The story of Holika and Prahlad and subsequent Holika Dahan indicates that good always wins over the evil. Hiranyakashipu was a demon King and father of Prahlad (who was a staunch Vishnu devotee). Holika was Hiranyakashipu's sister. Hiranyakshyap always wanted to be alive always and nobody could ever be able to harm him. In order to achieve this dream, he did a tapasya of Lord Brahma. One day, Lord Brahma was pleased and Hiranyakshyap was granted a boon by Brahma that made him think he was eternal and the most powerful man on earth. Lord Brahma could not grant him a boon that he would not die as death is the ultimate truth that comes to everybody. Neither he could be killed on the land nor in the water and nor in the air. Hiranyakshyap thought that if death has to come for everybody, he was able to persuade Brahma for boons which would made him immportal and nobody could kill him. Thus he started thinking that he himself was the God. He wanted all people to worship him as God. He started killing people did not accepted his orders, also killed many people including saints and rishis who refused to accept him as God. His son, Prahlad also did not accepted his father as God. Prahlad was a true worshipper of Lord Vishnu and saw Vishnu present in everything whether it was alive or materialistic. Hiranyakshyap got very angry with his son Prahlad and tried many ways to kill him. He was failed in a lot of attempts as Lord Vishnu always saved Prahlad when Hiranyakshyap gave him troubles. Then on one day, he called upon his sister Holika to help him. Holika had a boon by Lord Brahma that she would never be harmed by fire nor she could be burnt. Hiranyakshyap ordered Holika to sit on a fire with Prahlad so that Prahlad could be killed. But destiny had some else in store for them as because of ill mindset and the wrongdoings of Holika, she was burnt alive and Prahlad was saved by Lord Vishnu. Later one day, Hiranyakashipu became very angry with Prahlad again when his son was worshipping Lord Vishnu and told him that the Vishnu is present everywhere and he could see him everywhere. Hiranyakashipu tied his son to a pillar and said that call here Vishnu to save you-he wants to see if Vishnu comes or not to save Prahlad. Prahlad said that Vishnu exists in everything, even in the pillar he has been tied. Upon hearing this he tried to demolish the pillar and in that way, he hit upon the pillar. As he was on his way to hit the pillar hard, Lord Vishnu came out of the pillar in the form of Narasimha (above half lion and other half human) in front of him, saved Prahlad and run towards Hiranyakshyap. Lord Narasimha caught hold of Hiranyakashipu at a doorstep and killed him by his big and sharp nails. Hiranyakashipu died at the time when it was dusk (means neither day nor night), doorstep (means neither inside the door nor outside the door), lap (means neither land nor water and air), killed by lion claws (means neither Astra nor Shastra) and Narasimha (means neither human being nor animal). So, Hiranyakashipu was killed that way as the boon by Brahma. Thus, Prahlad was saved by Vishnu god. This is a great real life story and Hindu mythology which indicates that, truth and good always wins over the false and evil. Holika Dahan is celebrated by burning Pootana or Putana instead of Holika in some places of India. It revolves around the story of demon king Kansa, Putana and Lord Krishna. Kansa sent Putana to kill Krishna. Also a demon, Putana tried to kill Krishna with her poisonous breast milk. She started feeding baby Krishna of her poisonous milk. Baby Krishna in an attempt to kill the demon Putana, started sucking forcefully and she came in her original form. Finally Putana died and baby Krishna was saved but got dark blue skin color. From then onwards, people started celebrating Phagwah by burning Putana. On Holi celebration day, Krishna and Radha played holi by coloring each other's face's. Since then, people play holi every year by using colors. On the day of Holika Dahan, married women perform a ritual wherein they prepare a puja thali for worshipping Holika which contains Roli, Haldi, Wheat flour, 5 co-dung uple having hole, mauli (red thread), Jal and 5 or 7 jau bali. Women offer this puja to Holika for the well being and good future of their family. Often, women can be seen doing rounds of the Holika heap on the crossroads in the nearby regions. They offer water to Holika while making rounds for 5 or 7 times. A red thread is offered to the Holika in its diameter while making round for 5, 7 or 11 times . It is believed that offering haldi powder, wheat flour powder, jau bali and co-dung uple to the Holika will bring well being and long life of their kids. Women seek blessings from Holika for the prosperity and health for the whole year for their families. Holashtak begins on the Phalgun Shukla Ashtami (eighth day during the waxing phase of moon in Falgun month) and ends on the Phalgun Purnima day (full moon day) according to the North Indian Hindu Calender. The Purnima day is celebrated as Holika Dahan in different regions. In Holashtak, some people decorate the branch of a tree with colorful pieces of clothes. Everyone ties a piece of cloth and that is buried underground. Holashtak period is considered inauspicious in Hindu mythology as this is the period when Lord Shiva killed Kamadeva and this is same period when Prahalada was given immense troubles by his father Hiranyakashipu and his father's sister Holika. Holashtak period is therefore considered inauspicious for performing auspicious ceremonies like marriage, housewarming, mundan ceremony or any of the 16 Hindu sanskars, starting of new business etc. During the Holashtak period, people must considered performing Daan – doing charity. During the eight days of Holashtak, Moon on the eighth day, Sun on the ninth day, Saturn on the tenth day, Venus on the eleventh day, Jupiter on the twelfth day, Mercury on thirteenth day, Mars on fourteenth day and Rahu on the Purnima day take a nrgative transformation. That is why all the auspicious tasks should not be done during this period. In pilgrimage sites such as Shatrudra, Vipasha, Iravati and Pushkar are considered not affected by the negative effects of Holashtak. As generally, Holashtak period is considered inauspicious for all and the world but for tantra sadhaks consider it as auspicious period and perform special puja. Shri Satyanarayan Puja is performed to get blessings of Sri Narayan or Sri Hari Vishnu. 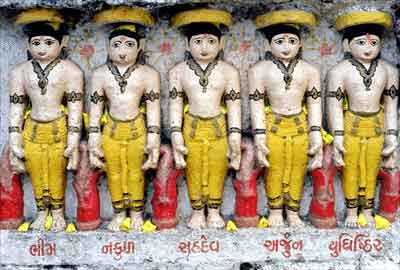 Satyanarayan is considered an manifestation of truth. In other words, God Satyanarayan and truth are one and the same thing. There is no fixed day to perform Satyanarayan Puja but if you do it on the day of Purnima or Pournami, it is considered highly auspicious. Sri Vishnu incarnated as Lord Satyanarayana to break Lord Indra’s pride. 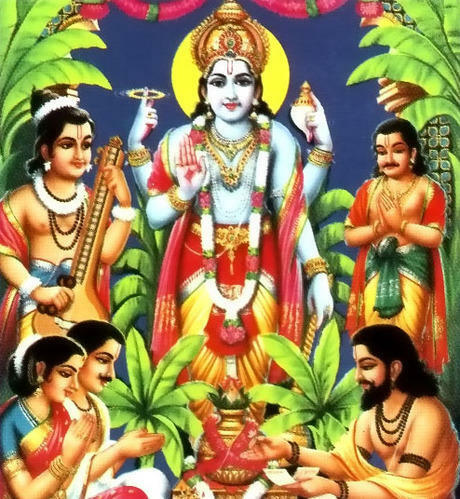 Satyanarayan puja is first mentioned in Skanda Purana. Fast is observed on Purnima day for God Satyanarayan. The Satyanarayan Puja can be done in the morning as well as in the evening. However Satyanarayana Puja carried out in the evening is considered more appropriate as devotees can break the fast with Prasadam in the evening. Here we have mentioned Shri Satyanarayana Puja dates 2019 for evening time. Thus Satyanarayan Puja day listed below might fall on Chaturdashi i.e. one day before Purnima. Devotees who prefer to do Puja in the morning must make sure that Puja is done within Purnima Tithi. On the day of Purnima, Tithi might get over during morning time and thus Purnima Tithi is not always suitable for morning Puja. Lord Satyanarayan, an extremely kind and gracious form of Lord Vishnu is worshipped. Satya means “truth” and narayana means, “The highest being”. Panchamritam (a mixture of milk, honey, ghee/butter, yogurt and sugar) is used to clean the deity, in the form of Saligram, a divine stone depicting Maha Vishnu. Panjiri, which is sweet roasted flour of wheat, banana and other fruits are used as Prasad. Tulsi leaves are also added into Prasad. Sri Satyanarayan Swami Katha or Satyanarayan Vrat Katha, is then recited by the person observing the fast alongwith family members. After the Katha, Satyanarayan's Aarti ("Om Jai Lakshmi Ramana") is performed with full devotion and then prasad is offered to the deity and then distributed to all members of the family. जानिए 2019 में श्री सत्यनारायण व्रत कब है ? When is Makar Sankranti 2019? Makar Sankranti is on 15th January(Tuesday), 2019. Makar Sankranti Punya Kaal and Mahapunya Kaal Time are highly auspicious timings to perform good deeds like offering water and food to sun god, taking bath in the holy river Ganga, feeding and offering food to the needy etc. Mahapunya Kaal time is preferred more than Punya Kaal time. Makar Sankranti is a very auspicious day in Hindu mythology. Also known by the names Makara Sankranti, Makarasankranti and Makar Sankrant, the festival is of high imortance because of the shifting of the Sun (Surya) into ‘Makara rashi’ – the zodiac sign which relates to Capricorn. 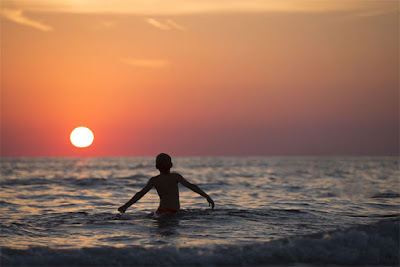 When sun goes from one sun sign and enters another, it is known by the name of ‘Sankranti.’ The word "Sankranti" in Sanskrit means ‘to cross into’. Thus, Makar Sankranti is the day when sun enters into the Makar rashi or the Capricorn sign. On this day of Makar Sankranti, sun enters into the Northern Hemisphere, it is called as Uttarayana. This Uttarayan festival of Gujarat starts on the Makar Sankranti day and continues for six-month long. Makara Sankranti is observed in the Hindu month of Paush in North India, Magh in Bengal, Dhanu in Kerala and Margazhi in Tamil Nadu. Makar Sankranti falls on the January 14th or January 15th every year but slowly this day of Sankrant is moving and Makar Sankranti will occur on 23rd March in 7015, around 5000 years from now. Hindu calendar follows lunar calendar, meaning it is based on the moon. Of the 12 Sankranti's in the Hindu Calendar year, Makar Sankranti is the most important Sankrant among all and holds a lot of spiritual significance and importance for Hindus. Surya or Sun God is worshiped on this day of Makar Sankranti. People chant the Gayatri Mantra, Surya Mantra and other mantra's while offering water to Surya god. The coming of Makar Sankranti indicates the coming up of spring season in the northern hemisphere and the end of winter season. This time is highly auspicious and is known as Uttarayan Punyakalam. The six months after Makar Sankranti, are longer and warmer. Makara Sankranti has also a different meaning. ‘Makar’ refers to crocodile and Sankranti means ‘to change.’ The crocodile is the materialistic world and ‘Sankranti’ is when there the time comes to get away from the materialistic world. Uttarayana is the six month long festival that starts on the Makar Sankranti day. Uttarayana is referred to as the daytime of the Devas and that is why auspicious activities starts during this time. The importance of Makara Sankranti also lies in the fact that Bhishma Pitamaha of Mahabharata died on this day of Uttarayan as Bhisma Pitamah had a boon that he will die only when he wishes. So, he choose this day of Uttarayana. It is of the belief that people who die during Uttarayana merges with the God, thus ending the cycle of rebirth. It is also understood that Lord Vishnu buried Asuras under the Mandara Mountain on this Uttaryana day signifying the end of evil. On the next day of Makar Sankrant, Krishna is worshipped in South India as there is a belief that Krishna lifted the Govardhan mountain on the day after the Makar Sankrant. King Bhageeratha brought down river Ganga into Patala on Makara Sankranti day to get moksha or salvation for his ancestors. Makara Sankranti is also one of the important bathing dates during Kumbh Mela and Magh Mela and lakhs of people take bath in the Ganges river. According to Puranas, on this Makar Sankranti date, God Surya visits Shani, who is the son of Surya. Things to do on Makar Sankranthi Day? As Makara Sankranti is the festival associated with Surya, people must offer water to Surya and recite the Gayatri Mantra and/or Surya Mantra's. As Surya visits his son Shani on Makar Sankranti day, people must visit their sons and give them gifts, if possible. Pople must make a fresh begining on this day and forget any misunderstandings if any. People make ‘khichadi’ on this day. Some make Til sweets and dishes and Rice meal. Makar Sankrati is a festival associated with harvest in the whole of India. So people pray for a good harvest. Cows are worshipped and people do charity work like offering food, Moong Dal, rice, ghee, Til etc.to poor persons and needy. One of the most important event is the kite flying in Jaipur, and the whole of Rajasthan, Gujarat. Makar Sankranti is celebrated in the whole of India with different names. Makar Sankranti is celebrated as Pongal in Tamil Nadu, Sankranthi - Pedda Panduga in Andhra Pradesh and Telangana as a harvest festival. Makara Sankranti itself in Karnataka, Uttarayan in Gujarat. Til Gud is exchanged in Maharashtra. Pilgrimage to the famous Sabarimala Temple also ends on this day in Kerala. It is known as Pithey parban in West Bengal, along with the famous Ganga Sagar mela. Makar Sankranti is celebrated as Bhogali Bihu in Assam, Maghi in Punjab, Jammu and parts of Himachal Pradesh and Haryana. Khicadi Parv and Sankranti in Uttar Pradesh Makar Mela in Orissa. Here we have given the youtube video for Til and Dry Fruit Chikki (Makar Sankranti Recipe) by Tarla Dalal. Wishing you a very Happy lohri & Makar sakranti as well. Mubarak ho aapko "makar sankranti ka tyohar. aevam gyan aur prakash se aapka jeevan ujjwal ho jaye! The festival of Lohri is an extremely popular festival of the Punjabis celebrated in the states of Punjab, Haryana, Himachal Pradesh, Jammu and Kashmir. 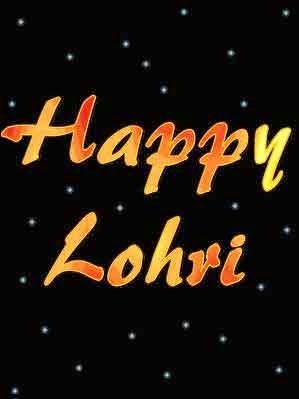 Lohri is usually celebrated on the last day of the month of Paush, the month in which the winter solstice takes place. According to the ancient Punjabi folk lore, Lohri Date should be on the eve of Winter Solstice Day. Lohri festival is connected to the Winter solstice and celebrates the harvest of rabi crops. Through this Punjabi festival of Lohri, people pay respects to the natural element of fire and is dedicated to the end of winter season. Lohri songs are sung by children and elders composed in praise of the age-old Lohri traditions or in praise of Dulla Bhatti. As is usual, the date of Lohri festival, 2019 is on January 13 marking the sun’s entry to the Makar Rashi from the Tropic of Cancer. It is believed that this day is extremely auspicious and marks the end of the coldest month of the year, Paush. The next is the beginning of the period of Uttarayan considered sacred by all Hindus. Lohri celebration is traditionally associated with the harvest of rabi crops. People are seen to gather round the fire and offer peanuts, rewri, butter and various other food items to thank God for the good harvest. Lohdi is an extremely festival for the newly wedded women of Pujabi families and for every new born child. Though Lohri is predominantly celebrated in the State of Punjab, yet the flavors of this festival is also enjoyed in other states such as Haryana, Delhi, Himachal Pradesh, and Jammu. Lohri date in 2019 is on January 13 in the month of Paush or Magh, which is a day before Makar Sankranti. Lohri festival in India is seen by the Punjabi farmers as the beginning of the financial year. The festival of Lohdi is very ancient and historically owes its origin to ages of the Indus Valley civilization. The state of Punjab is known as the breadbasket of India and crop harvest is extremely important. The festival of Lohri is associated with the traditional harvest of rabi crops. The worshippers offer food items such as peanuts, rewri, flour, and butter to the Lohri bonfire to thank God for a good harvest. Thus Lohri celebrates the glory of farming. Wheat is the main crop of Punjab and is sown in October and harvested in the month of March or April. In January, the farmers are eager to reap the rich harvests and as they prepare themselves for cutting and gathering of the crops in the months that follow they enjoy the festivities of Lohri. Sankranti means migration of Sun from one rashi (zodiac constellation) to another. There are twelve Sankranti's in a Hindu calendar year. These 12 Sankranti are divided into four categories called as Ayan, Vishuva, Vishnupadi and Shadshitimukhi Sankranti. Makar Sankranti is regarded as the most significant Sankranti observed throughout India. That is the popularity of Makar Sankranti, that it is just known as Sankranti. Makar Sankranti is observed for four days in South India. Sankranti days are considered good for daan-punya and charity activities and all auspicious ceremonies are avoided on the day of Sankranti(s). Sankashti Chaturthi or Sankatahara Chaturthi is the day dedicated to Lord Ganesha. Each Hindu calendar month has two Chaturthi Tithis. 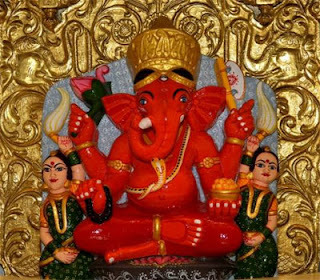 Chaturthi tithi after Purnima or full moon during Krishna Paksha is known as Sankashti Chaturthi and the one after Amavasya or new moon during Shukla Paksha is known as Vinayaka Chaturthi. On the day of Sankashti Chaturthi, prayers are offered to Sri Ganesha. Sankashti Chaturthi fasting is done every month but the most significant Sankashti Chaturthi falls in month of Magha and Paush. Sankashti Chaturthi coming on Tuesday is called Angarki Chaturthi and is regarded as highly auspicious. Sankashti Chaturthi fast is observed mostly in Western and Southern India especially in the states of Maharashtra and Tamil Nadu. Sankashti Chaturthi Vrat is held for Lord Ganesha and devotees keep fast from sunrise to moonrise on the day of Sankashti Chaturthi. This fast is strict and only fruits and vegetable products need to be consumed. Sankashti Chaturthi food items or recipes could include Sabudana Khichadi, potato and peanuts. After sighting of the moon, one can break the fast. Sankashti Chaturthi during Magha month is known as Sakat Chauth in North India. Vinayaka Chaturthi in Bhadrapada month is known as Ganesha Chaturthi. Ganesh Chaturthi is celebrated as the birthday of Lord Ganesha by Hindus all over the world. Sankashti Chaturthi by Tamil Hindus is also known as Ganesh Sankatahara or Sankatahara Chaturthi. Lord Ganesha, the Pratham pujya god who is regarded as the supreme lord of prosperity, intelligence and fortune, symbolizes the remover of all obstacles. He is known by the names Vighnaharta (विघ्नहर्ता), Vighnavinashaka (विघ्नविनाशक) and Vigneshwara (विघ्नेश्वर)..Devotees pray to Lord Ganesha for all of their family members for health and prosperity. As Lord Ganesha is also known as ‘Vighnaharta’, meaning one who removes all the obstacles. Worshipping him can help in removing of all the hurdles of life. Thus it is believed that by observing Sankashti Chaturthi fast - one can get rid of all obstacles. "Sankashti" means ‘deliverance during difficult times’ and "Chaturthi" means ‘the fourth day or tithi dedicated to Lord Ganesha’. The significance of Sankashti Chaturthi vrat is mentioned in the ‘Bhavishaya Purana’ and ‘Narasimha Purana’ and was told by Lord Krishna to Yudhishtira, the eldest of all Pandavas. One must note that fasting day for Sankashti Chaturthi is different for two cities even if those cities are in India. It is to be understood that fasting for Sankashti Chaturthi depends on moonrise and it is observed on the day when there is moonrise while Chaturthi Tithi is prevailing. Thus Sankashti Chaturthi fasting might be observed on Tritiya Tithi i.e. one day before Chaturthi Tithi. 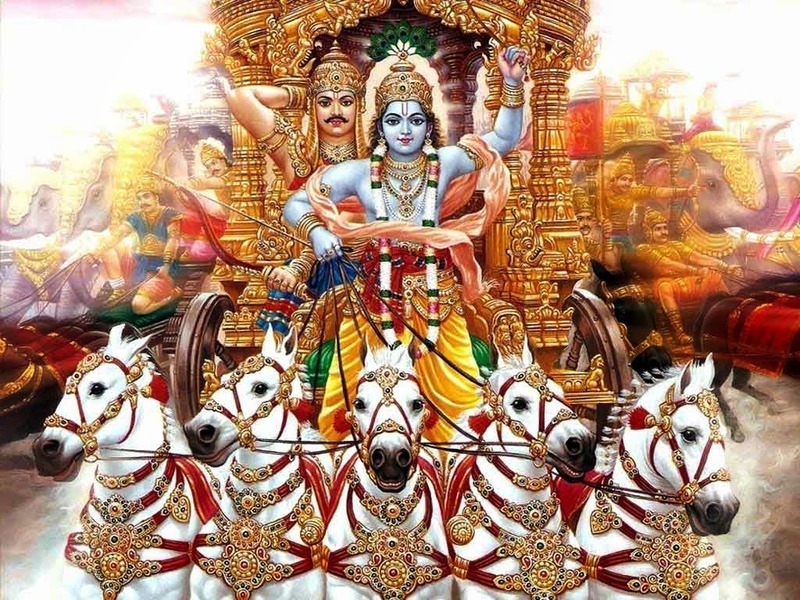 Gita Jayanti, also referred as Bhagawad Gita Jayanti, is the day when Sri Krishna rendered Bhagvad Gita to Arjuna in Kurukshetra on the first day of the famous 18-day battle in the epic Mahabharata. The date of Gita Jayanti is December 18 in the year 2018. Gita Jayanthi comes on the Ekadashi day of Shukla Paksha (the bright half) of the Margashirsha month (November-December) in traditional Hindi calendar. Bhagavad Gita significance lies in the fact that it prompts you to think, take decision, and look at life differently and refreshingly. Bhagavad Gita adapts to the present and discusses an issue by rooting itself in the present. When Arjuna was confused to fight the battle with kauravas or not, Sri Krishna taught him the principles of Bhagvad Gita. 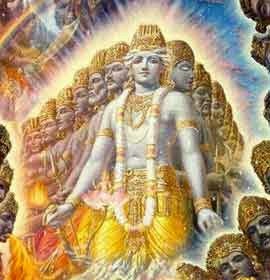 Bhagavad Gita, was useful for Lord Krishna to solve the problems faced by the Arjuna and today also, one can get the solution for their problems in the mystic Bahagvad Gita. No doubt, the Gita or Bhagavad Gita will continue to solve the problems faced by common man today for centuries to come. The day of Gita jayanti is observed globally and people read Bhagavad Gita, in India seminars are organized to preach the principles of Bahagvad Gita to the masses. Hindu temples,dedicated to BhagvanVishnu and Sri Krishna, organize special pujas on this day of Bhagvad Gita. Today people do not find time to read the whole of the Bhagvad Gita but you must make sure to atleast read a para from the Bhagavad Gita and also tell others about it. Gita Jayanti 2018 Date is 18th December 2018. Lord Krishna is the Supreme Truth, the supreme cause and sustaining force of everything that are both material and spiritual in nature. Souls who understand him surrender unto Him in devotion, whereas impious souls divert their minds to other things of worship. Lord Krishna is the Supreme God and the supreme object of worship. The soul is eternally related to Him through transcendental devotional service (bhakti). By reviving one's pure devotion one returns to Krishna in the spiritual realm. 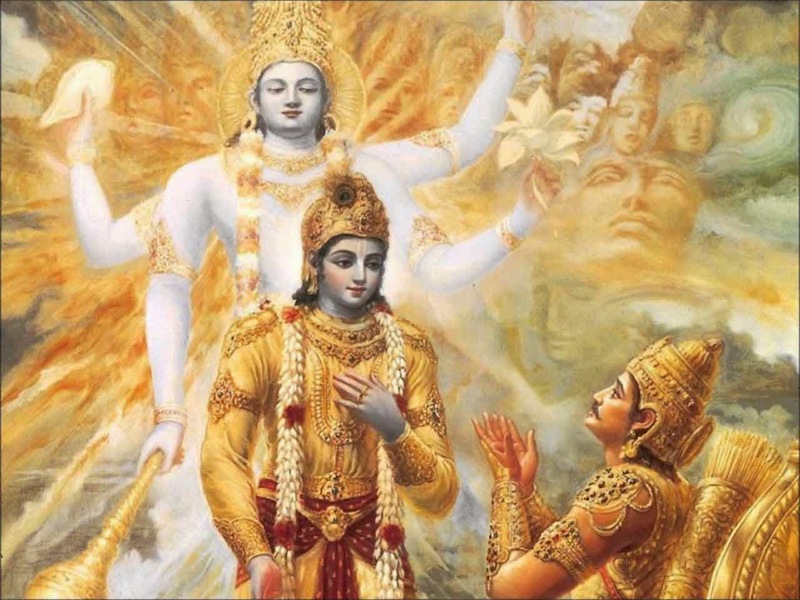 The glories of the Bhagavad-gita, and the ultimate conclusion of the Gita: the highest path of religion is absolute, unconditional loving surrender unto Lord Krishna, which frees one from all sins, brings one to complete enlightenment, and enables one to return to Krishna's eternal spiritual abode. These are some of the beautiful quotes of Bhagvad Gita in Hindi language. अपने अनिवार्य कार्य करो, क्योंकि वास्तव में कार्य करना निष्क्रियता से बेहतर है. आत्म-ज्ञान की तलवार से काटकर अपने ह्रदय से अज्ञान के संदेह को अलग कर दो. अनुशाषित रहो . उठो. व्यक्ति जो चाहे बन सकता है यदी वह विश्वास के साथ इच्छित वस्तु पर लगातार चिंतन करे. उससे मत डरो जो वास्तविक नहीं है, ना कभी था ना कभी होगा.जो वास्तविक है, वो हमेशा था और उसे कभी नष्ट नहीं किया जा सकता. ज्ञानी व्यक्ति को कर्म के प्रतिफल की अपेक्षा कर रहे अज्ञानी व्यक्ति के दीमाग को अस्थिर नहीं करना चाहिए. मनुष्य अपने विश्वास से निर्मित होता है.जैसा वो विश्वास करता है वैसा वो बन जाता है. ज्ञानी व्यक्ति ज्ञान और कर्म को एक रूप में देखता है, वही सही मायने में देखता है. जो मन को नियंत्रित नहीं करते उनके लिए वह शत्रु के समान कार्य करता है. मन अशांत है और उसे नियंत्रित करना कठिन है, लेकिन अभ्यास से इसे वश में किया जा सकता है. लोग आपके अपमान के बारे में हमेशा बात करेंगे. सम्मानित व्यक्ति के लिए , अपमान मृत्यु से भी बदतर है. प्रबुद्ध व्यक्ति के लिए, गंदगी का ढेर, पत्थर, और सोना सभी समान हैं. निर्माण केवल पहले से मौजूद चीजों का प्रक्षेपण है. नर्क के तीन द्वार हैं: वासना, क्रोध और लालच. इस जीवन में ना कुछ खोता है ना व्यर्थ होता है. क्रोध से भ्रम पैदा होता है. भ्रम से बुद्धि व्यग्र होती है. जब बुद्धि व्यग्र होती है तब तर्क नष्ट हो जाता है. जब तर्क नष्ट होता है तब व्यक्ति का पतन हो जाता है. मन की गतिविधियों, होश, श्वास, और भावनाओं के माध्यम से भगवान की शक्ति सदा तुम्हारे साथ है; और लगातार तुम्हे बस एक साधन की तरह प्रयोग कर के सभी कार्य कर रही है. हर व्यक्ति का विश्वास उसकी प्रकृति के अनुसार होता है. जन्म लेने वाले के लिए मृत्यु उतनी ही निश्चित है जितना कि मृत होने वाले के लिए जन्म लेना. इसलिए जो अपरिहार्य है उस पर शोक मत करो. अप्राकृतिक कर्म बहुत तनाव पैदा करता है. सभी अच्छे काम छोड़ कर बस भगवान में पूर्ण रूप से समर्पित हो जाओ. मैं तुम्हे सभी पापों से मुक्त कर दूंगा. शोक मत करो. Neither in this world nor elsewhere is there any happiness in store for him who always doubts. 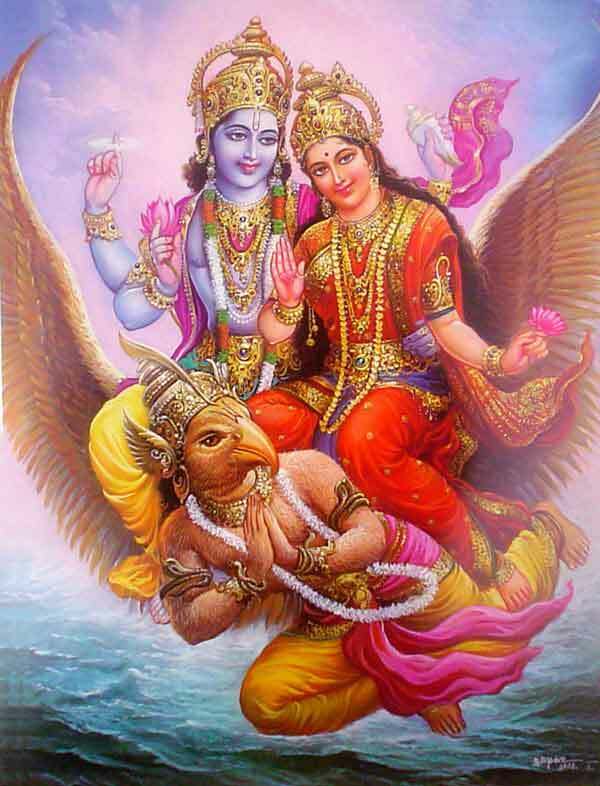 Goddess Ekadashi is the Yoga Maya of Lord Vishnu. Ekadashi fasting is observed by staunch devotees of Sri Hari Vishnu on every 11th Tithi as per Hindu calendar. Ekadashi occurs twice in a month, one during Shukla Paksha and another during Krishna Paksha. Lord Vishnu devotees observe Ekadashi fasting to worship Sri Vishnu and to get his blessings. On the day before Ekadashi, a meal is taken in the afternoon and do not eat at the time of dinner as a strict fast and then fast for the whole Ekadashi day and then break the fast on next day only after sunrise on the dwadashi day. All type of grains and cereals are prohibited to be eaten on the Ekadashi day. Those who fast as well as those who don't fast strictly must not eat rice and rice grain products on the day of Ekadashi. Strict Ekadashi fasting must be observed by people who are completely fit as this fast would be without water. Those who just can't observe the ekadashi fast as a strict can have water, fruits, tea, cofee but not any proper food that you eat daily. Before starting the Ekadasi fast, people must be sure about if they want to observe strict fast without water or otherwise. Here we have mentioned 2019 Ekadashi fasting days and dates for Smarthas. Vaishnavas must check Vaishnava Ekadashi Calendar 2019 fasting to know Vaishnava fasting days. It is the same as released by ISCKON.Vaishnava fasting day might occur after one day after of Smartha fasting day. Ekadashi fasting sometimes occurs on two consecutive days. It is advisable that Smartha with family should observe Ekadashi fasting on the first day only. For Sanyasis, widows and for those who want Moksha are advised to observe the Ekadashi vrat on the second day. When alternate Ekadashi fasting is advised for Smartha it coincides with Vaishnava Ekadashi fasting day. Ekadashi fasting for both- the shukla paksh and krishna paksh is suggested for staunch devotees who just want love and affection of Sri Vishnu and Mata Lakshmi. Ekadasi list for ISKCON Delhi is created independent of Gaurabda Calendar or GCal published by GBC Vaisnava Calendar Committee of the International Society for Krishna Consciousness (ISKCON). It follows same Ekadasi and Parana (time to break Ekadasi fasting) rules as followed by GCal. Both calendars should match and if there is any mismatch it might be due to a software error. These Ekadasi dates are valid only for Vaisnava Sampradaya and followers of ISCKON. You must check Smarta Ekadashi List for Smarta Sampradaya Ekadasi dates 2019.